John Kirkeide joined ATG as a Partner when ATG merged with his company, Audit Excellence. John’s two decades of retail procure-to-pay and finance experience coupled with 17 years of recovery audit experience produce exceptional results for his clients. John is responsibility for our Midwest operations. 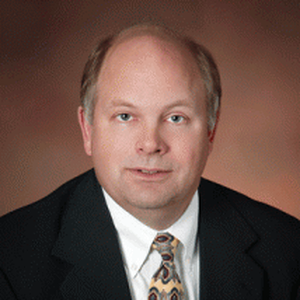 John was previously Vice President of Audit Development for PRG-Schultz International, Inc.. In this role, he developed systemic approaches to leverage technology across a very large client base including a high percentage of the nation’s largest retail audit engagements. Prior to joining PRG, John was a Principal with Robert Beck & Associates, Inc., a premiere niche provider of computer-supported accounts payable audit recovery services. John was a recovery audit industry pathfinder who leveraged advanced technology across clients to increase recovery and reduce cost. Before entering recovery auditing, John was Chief Financial Officer for LeeWards Creative Crafts, Inc., now part of Michaels Stores, Inc. John led the management buy-out of LeeWards from its previous owner. Prior to joining LeeWards, he held a variety of financial positions with General Mills and Ernst & Young in Minneapolis. John received a BBA degree in Accounting from Moorehead State University and a BS degree in Business and MS degree in Business Economics from North Dakota State University. He maintains both a CPA and CMA, receiving recognition for achieving the nation’s top CMA exam score in 1978. John and his wife, Leslie, reside in Prescott, Arizona.